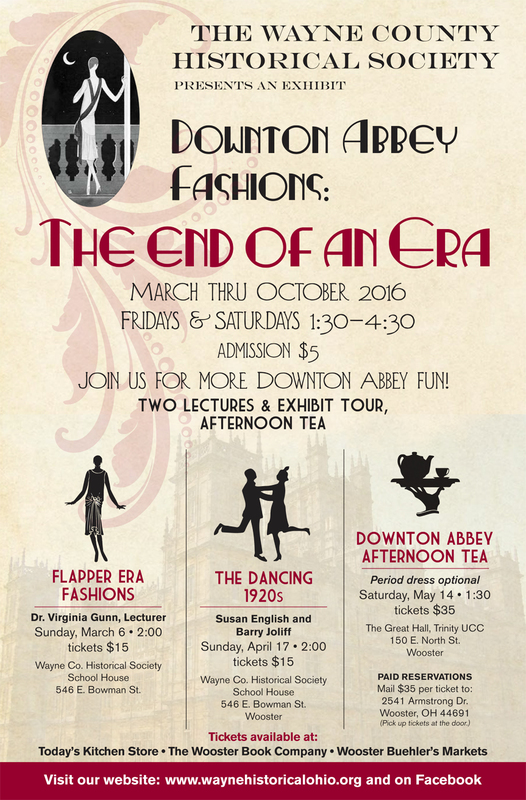 Come join us for the grand 2016 Opening Exhibit on Sunday, February 28, 2016 @ 2:00 p.m. for the Downton Abbey Fashions – The End of an Era. 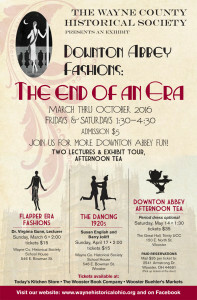 This exhibit presented by the Wayne County Historical Society Textile Committee runs from March through October 2016 with regular Tour times scheduled for Fridays and Saturdays 1:30PM – 4:30PM; charge: $5.00 per person. My family and I drove to Wooster today from the greater Cleveland area to see this exhibit and we were very upset that it was closed. Why was it closed today when it said it was open on your website? No reason was posted on the door of the reception area. I even called the number to the office and left a message. There were other people waiting too.